(2007-05-10) New link to website of the Centre for African Indigenous Knowledge Research and Documentation (CAIKRD). Publication lists revised. (2007-03-27) Draft of the act protecting the traditional knowledge of the indigenous peoples, mandated by the Council of the Indigenous Peoples, is finished. English version is under preparation. 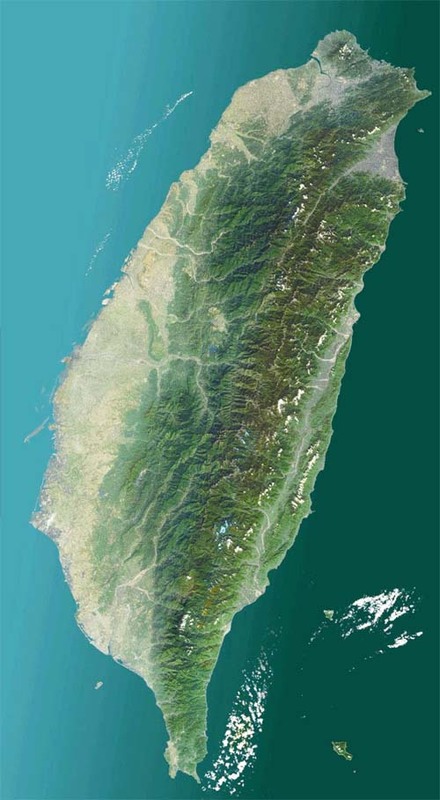 (2007-01-13) The Cabinet approved the application of the Sakizaya people to be officially recognized as Taiwan's 13th indigenous people and as separate from the Amis people. (2006-08-06) Mandated by the Council of Indigenous Peoples, a draft of the "Act on the Protection of the Traditional Knowledge of Indigenous Peoples Concerning Biodiversity" has been proposed. The drafters are Ming-Yan Shieh, Warren H.J. Kuo, Jau-Hwa Chen and Chung-His Lee. (2006-01-12) Drafting the Genetic Resources Act of Taiwan, PPS file of the presentation at The Euro-Asian Forum II. (2006-01-04) The Euro-Asian Forum II, "The Limitation of Contemporary IP System in Knowledge Trading" to be held on 2006/01/09~10, at Hsinchu, TAIWAN. (2005-01-21) Basic law of the Indigenous Peoples has been passed by the Legislative Yuan on 21 Jan 2005. Among the Clauses, Article 13 states clearly that the government should protect by acts the knowledge concerning conservation of biodiversity and intellectual creations of the indigenous peoples. In Article 22, land exploration, resources utilization, ecological conservation and academic research should be subjected to prior informed consent of and/or participation of the indigenous peoples. Mechanism of benefit–sharing of any profit that arising from the commercial utilization should be established. (2004-05-11) Arrangement on Cooperation on Indigenous Issues between Taipei and New Zealand was signed at 2004-05-03. (2004-05-07) Deszo Benedek 1987 The Yami of Irala. 1991 The Songs of The Ancestors. (2004-03-30) Workshop "Ethnomedicine and Bioethics of Taiwan Indigenous Peoples" to be held at 2004-05-14. (2004-03-06) Notes: Director Ladi Semali of the Interinstitutional Consortium for Indigenous Knowledge (ICIK) visited (2000) indigenous peoples in southern Taiwan. New links in indigenous peoples, ethnoecology,and links. © 2003 TK Research Project. All rights reserved.